There’s an untouched corner of Canada where Whistler Glacial Water was millions of years in the making. The high peaks of British Columbia’s Coastal Mountains are home to ancient glaciers. Here, time and pressure turn snow to ice, and ice eventually becomes water. As meltwater seeps through the mountains’ compact granite, any impurities are filtered out, while minerals from the bedrock take their place. 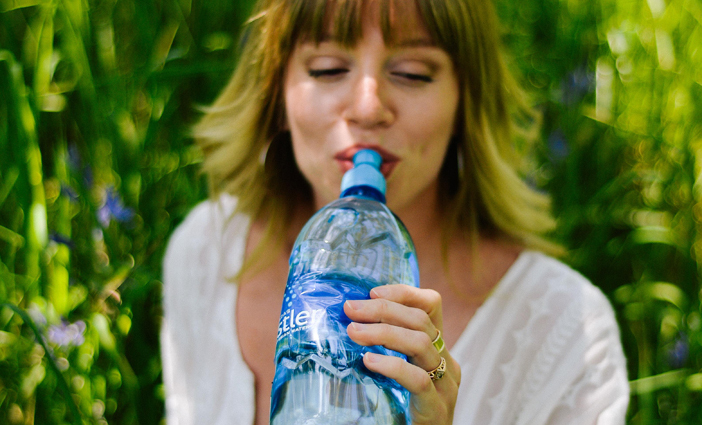 Eventually, the water arrives at a protected aquifer, where Whistler Glacial Water is collected perfectly pure, untainted by people or industry. Whistler Glacial Water has a naturally occurring neutral pH of 7.2, zero turbidity and a total dissolved solid (TDS) count of 36 P.P.M. These natural qualities make Whistler Glacial Water ideal for hydrating all body types, from babies to seniors and everything in between. 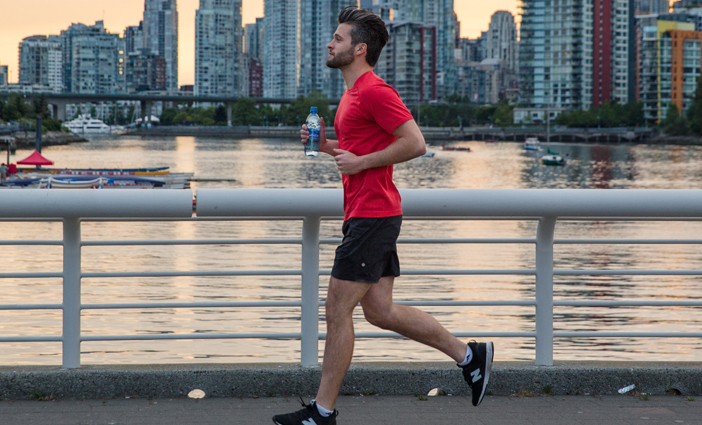 The pure composition of Whistler Glacial Water ensures your body gets exactly what it needs to stay healthy and happy all summer long. Now that we’re in the height of summer, it’s extra important to keep everyone in the family hydrated. Read below to find out 4 reasons why staying hydrated will make sure you and your family get the most out of this summer! 1. 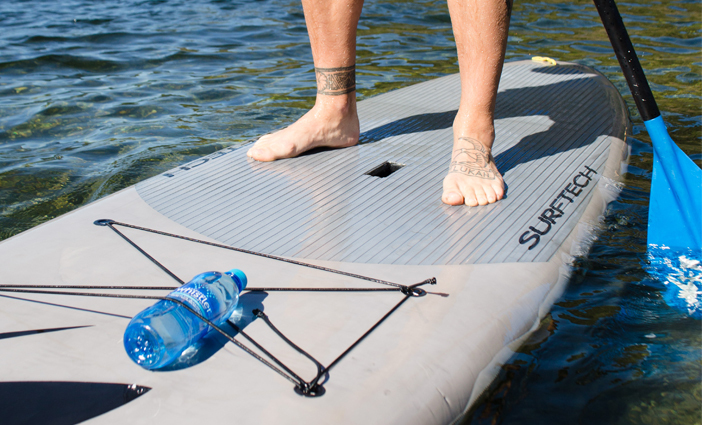 How can you take advantage of the extra-long summer days? A drop in body fluids can make you feel tired and drowsy. So, if you extend your playtime in the heat during these longer days, drink extra water throughout the day to keep your energy levels up and your mood elevated. 2. There’s nothing like a super sweaty workout to make us feel like we really deserve that happy hour drink or sneaky treat. But good luck getting sweaty if you’re already dehydrated before you start your work out. Drinking enough water enables your body to regulate its temperature through sweating. So make sure you’re well hydrated before you start your workout routine if you plan on getting sweaty. 3. Do you want a dewy bare skin look? Drinking water helps skin stay hydrated and look radiant by ensuring it doesn’t dry out. Water also helps flush impurities out of your body to keep your skin clear of annoying blemishes. Stay hydrated to get and keep your summer glow. 4. Nobody wants to experience the dreaded summer cold. Staying in bed on a summer weekend can feel like torture when you’re not doing it by choice. Drink plenty of water to flush out germs that are bad for your immune system so you get to fully enjoy every summer weekend. 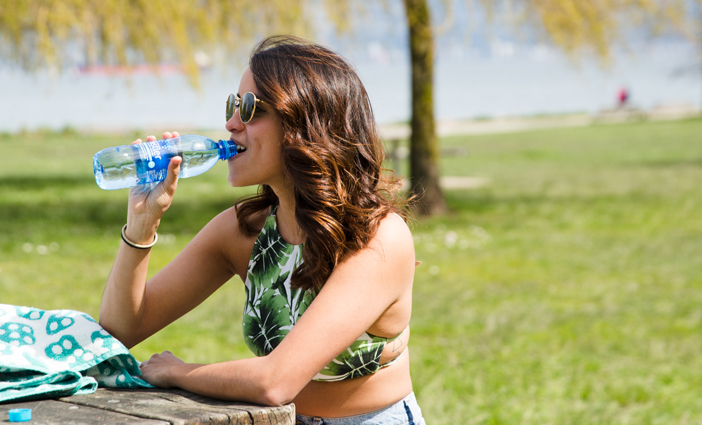 Now that you know why staying hydrated in the summer is extra important and that Whistler Glacial Water is the best hydrating water for all body types, stop by Gelson’s Markets to pick up some Whistler Glacier Water for your whole family.